DAVID LE/Staff photo. 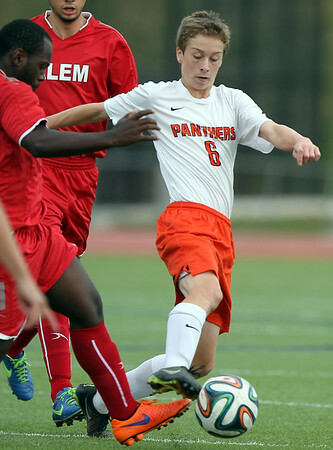 Beverly's Brian Harty reaches forward to poke the ball away from a Salem player on Monday afternoon. 10/5/15.